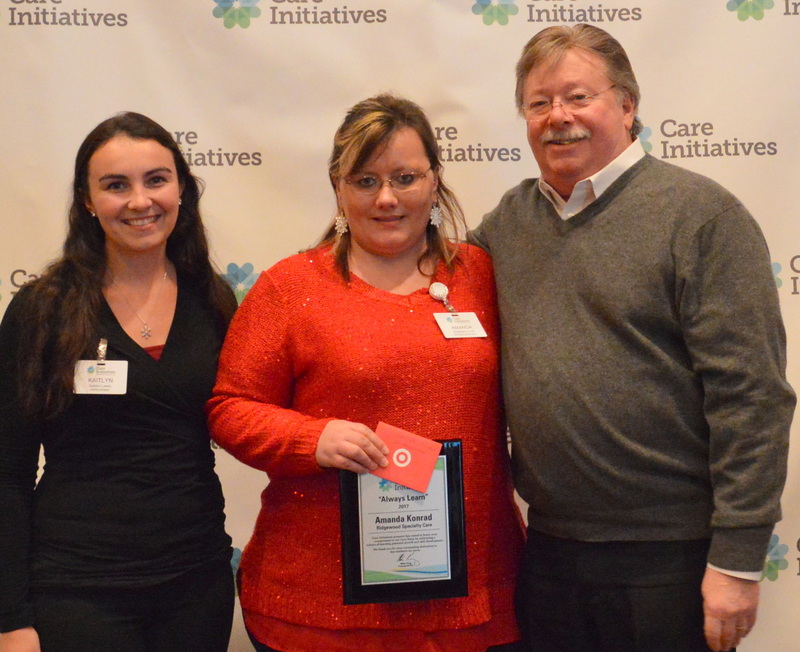 Activity Director Amanda Konrad with Ridgewood Specialty Care in Ottumwa was awarded the Care Initiatives Always Learn Award at Care Initiatives annual award brunch Friday, Dec. 15 in West Des Moines. In addition to serving as activity director, Amanda is also a certified dementia care practitioner and works alongside our nursing department. “She routinely attends training and brings that education back to the facility and applies it to our resident population. Her activities always have high attendance and residents give her a glowing review whenever asked,” one nomination stated. She has also received CNA training and uses those skills to help transfer patients, trim nails and other care. The “Always Learn” award is one of six Core Value Awards given to a nominated employee throughout the statewide organization of 3,000+ employees.